ATLANTA — The Atlanta fire chief who was fired last month over his Bible study-inspired book that included one page that listed homosexuality with other sexual perversions has filed a federal lawsuit against the city and its mayor for wrongful termination. 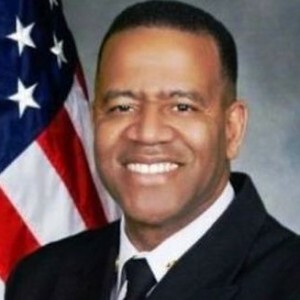 As previously reported, Chief Kelvin Cochran was suspended for one month beginning in late November and was placed under investigation as to whether he violated city policy or engaged in discrimination by publishing the book “Who Told You That You Were Naked?”, which was compiled as a result of a number of lesson plans that he had prepared over time for men’s Bible study groups. While “Who Told You That You Were Naked” was published in 2013, it was reportedly not until last November that Atlanta employees complained to Mayor Kasim Reed about its content. But it wasn’t Cochran’s writings against sexual perversion that got him into hot water; it was the fact that he included homosexuality among those behaviors that are cited as being “vile,” “vulgar” and “inappropriate.” The text was included on just one page out of the entire 160-plus page book, which does not center on homosexuality. Following the receipt of a complaint over the quote, Mayor Kasim Reed placed Cochran on a one-month suspension while an investigation went forward. Shortly after he returned to work, Reed decided to terminate the fire chief over the publication. He alleged at a press conference shortly after the beginning of the new year that his decision had nothing to do with freedom or speech or religion, stating that Cochran was fired because he had not obtained approval from officials to publish the book. Reed also stated that he thought the chief could present legal liabilities for the city. But Cochran said the he indeed did seek out the ethics officer prior to publishing the book, and not only was he granted permission to proceed, but he was also allowed to include in his biography that he served as the fire chief of Atlanta. He said that he gave a copy of the publication to Reed in January 2014—nearly a year before the controversy erupted—and was told by the mayor that he would read it. Last month, Cochran filed a complaint with the U.S. Equal Opportunity Employment Commission, alleging a violation of Title 7 of the Civil Rights Act. Now, attorneys for Cochran have filed a federal lawsuit against Reed and the City of Atlanta, asserting violations of the First and Fourteenth Amendments to the U.S. Constitution. “By expressing his religious beliefs in his book, which he wrote and self-published as a citizen after conducting Scriptural study to teach lessons at church, Cochran acted as an extension of his church and participated in the church’s efforts to proclaim a religious message about marriage and sexuality, among other spiritual subjects,” the lawsuit states. Georgia’s congressional delegation has likewise called upon Mayor Reed to restore Cochran to his position, stating that his termination was discriminatory. Full video: Fire chief sues city of Atlanta over unjust termination from ADF Media Relations on Vimeo.